The origins of Karate are shrouded in mythology and a book that tells the art's complete history is both necessary and timely. The art of Karate was developed in the Ryukyu Kingdom, now Okinawa, over hundreds of years. Like many martial arts it was once designed to main, disable or kill but has since become adapted into a way of life and a sport that is seen in both the UFC and in 2020 makes its Olympic debut. Author Simon Keegan is a 5th Dan black belt recognised by some of Japan's oldest and most venerable sanctioning bodies. In producing this unprecedented history he has been given access to information, pictures and records from Japan, Okinawa and the west that have never before been published. In his foreword to the book, respected martial arts master and author Steve Rowe 9th Dan writes: "Considering I have been at the centre of the Karate universe for four decades there is much in this book that I have never seen or heard. 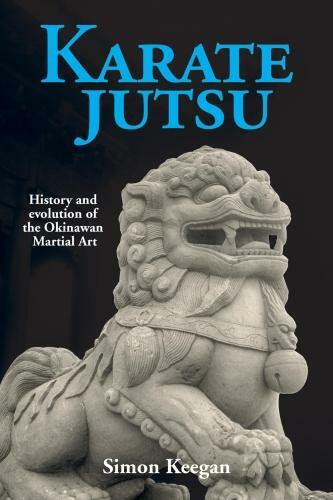 It's a must for any Karateka to read time and time again to understand the origins of Karatedo and its structure, and essential for the bookshelf of any serious martial artist." For the first time the complete history of Karate can be told. This is an excellent book. It is well researched, drawing on a range of primary sources, separating out fact from fiction. Well written and an enjoyable read, it is a must have for any serious martial artist.